Successfully Added HK Warehouse HOMTOM HT3 Pro Smartphone - Android 5.1, 4G, Dual SIM, 5 Inch, Smart Wake, Gesture Sensing (Grey) to your Shopping Cart. 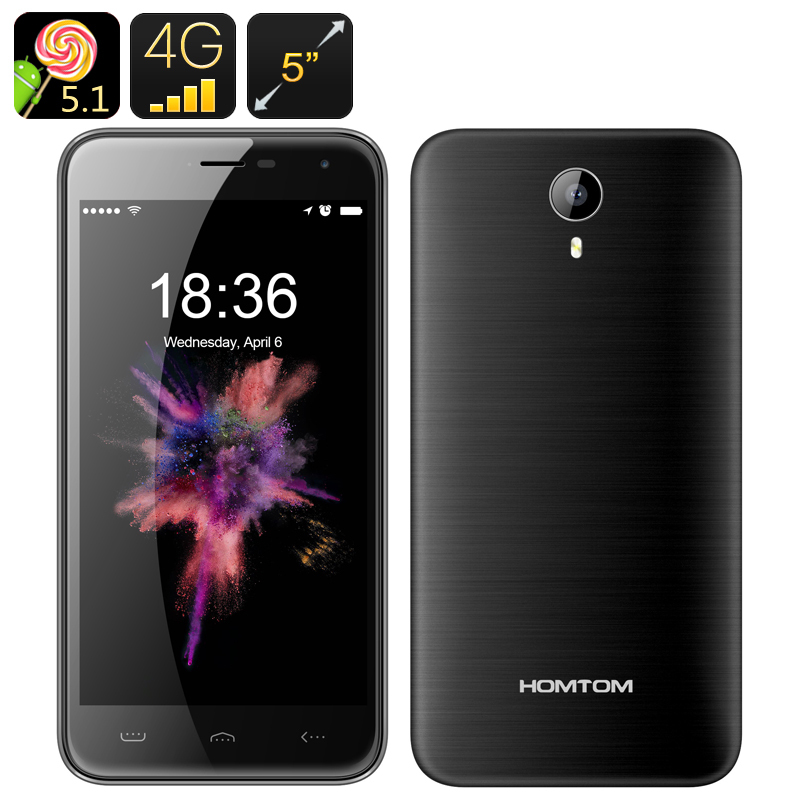 The HOMTOM HT3 Pro is a powerful Android smartphone with lots of features. In addition to a nice 5 inch HD screen and Android 5.1 interface, you will have 4G network connectivity in two SIM cards, Smart Wake, Gesture Sensing and more. If what you are looking for in your smartphone is simplicity, functionality and a good price, then you probably won't be able to do better than the HOMTOM HT3Pro. The smartphone comes with a nice 5 inch HD screen with 1280x720 resolution where you are free to watch movies, browse the web, enjoy your social media accounts and more. HOMTOM’s HT3 Pro comes with extensive network coverage: 2G(GSM 850/900/1800/1900MHz), 3G (WCDMA 900/2100MHz) and 4G (FDD:B1/B3/B7/B20). Plus, the phone supports two SIM cards and will let you have two phone numbers and two Google accounts on one device. Smart Wake and Gesture Sensing make things even better, as you will be able to navigate your phone more efficiently. Draw a letter on the locked screen to get to favorite apps or wave your hand to skip a music track — it's all that simple! The Android phone comes with a 3000mAh battery and offers up to 12 hours of non-stop talk time + 200 hours on standby. It comes with two cameras and supports Bluetooth 4.0. The HOMTOM HT3 Pro Smartphone comes with a 12 months warranty, brought to you by the leader in electronic devices as well as wholesale Android Phones..